"Choosing to study at University of Plymouth turned out to be a very good choice. For one of my student projects on the composite materials engineering course I developed a carbon fibre bike frame which I went on to manufacture. At the 1996 Atlanta Olympics I had 12 bikes racing. 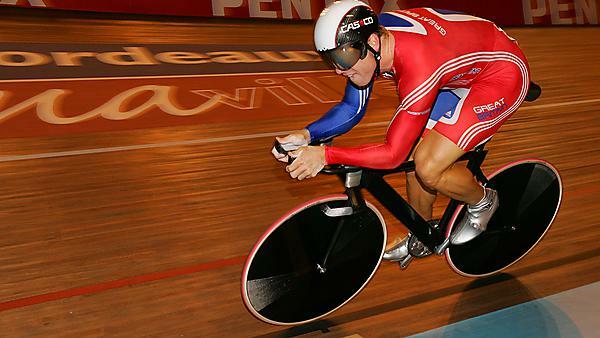 Since then, bikes I have designed have gone on to compete and win numerous medals all over the world. Brought up in Greece I had been part of the Greek cycling team and later, Assistant Coach. I chose to study composite materials engineering and follow my passion for cycling with bike design and set up my own business manufacturing carbon fibre bike frames while still on my course. After the Atlanta Games the regulations regarding bike design changed so I began working as a Project Engineer for Advanced Composites Group. Here I was involved in numerous projects including the development of ejector seats for fighter planes. However, I still maintained my involvement in bike design (as well as studying for an MBA). Since graduating, I have had bikes competing in the 2002 Commonwealth Games in Manchester, the 2004 Athens Olympics, the 2006 Commonwealth Games in Melbourne, the 2008 Beijing Olympics as well as the London 2012 Olympics, where the British cycling team had a great success winning eight gold, one silver and one bronze medal. In total, 51 golds, have been won on my bikes in Olympic Games and World Championships. I currently work as a Specialist External Consultant for UK Sport and British Cycling, aiming to give Britain's cyclists every advantage when they compete in the next Olympics. It’s very interesting work and sees me involved in designing new components as well as working with aerodynamicists and other technical experts. The aim is to produce a super lightweight but strong bike for a sport where 1,000th of a second can be the difference between gold and silver."